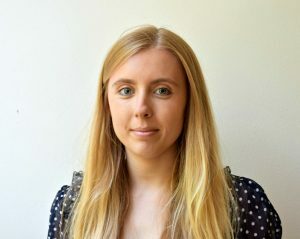 In a guest post for the Trust’s blog, Rose Acton – Policy and Research Officer at The Money and Mental Health Policy Institute – shares and update on the new #stopthecharge campaign.  This month Money and Mental Health have launched a campaign to stop the charge for the debt and mental health doctor’s note, and we are delighted that Money Advice Trust, along with a number of other leading debt and mental health charities, have publicly backed the campaign. What is the debt and mental health doctor’s note? If you have a mental health problem that affects your ability to pay your debts, creditors will often ask for medical proof before they can offer support. The creditor industry and advice providers have agreed a single form – called the Debt and Mental Health Evidence Form – which people can ask their doctor or another mental health professional to fill out. Once creditors have received this form, they often offer easier payment terms, cancel charges or interest, and may even write some debts off altogether. But our research has revealed that up to a third of people who ask for this evidence are being charged. Typically the charge is £20 – £50, but in some cases it is as high as £150 – even though the people who need it are in serious financial difficulty. The vast majority of those charged were on low incomes and in serious debt. The charge often meant they had to go without essentials or borrow even more money. In some of the cases we’ve come across, people are going without the form because of the expense. Without the completed form, creditors often press on with enforcing the debt and people with mental health problems don’t receive the help and breathing space they need, meaning a debt problem can quickly spiral into a crisis. For people with mental health problems, asking for this form is a big step towards seeking help and getting their debt under control. But being charged a fee can make things worse, not only in terms of financial wellbeing but also mental wellbeing. Debt and financial difficulty worsen and prolong mental health problems. Almost all of those charged for evidence (94%) believe their financial situation made their mental health problems worse. By causing further financial distress and acting as a barrier to help, the charge has a negative impact on mental wellbeing and could reduce the chance of recovery from a mental health problem. Together with Money Advice Trust, Mind, Rethink, StepChange and others we’ve written to Jeremy Hunt and the Health Ministers in Wales, Scotland and Northern Ireland asking them to stop the charge. It isn’t fair that people with mental health problems are left to struggle with debt alone – with your help, we can change that. The link between financial distress and mental health problems is profound. Half of those in problem debt have a mental health problem and a quarter of those with a mental health problem are in debt or financial difficulties. Whether the stress and anxiety caused by financial difficulties leads people to develop mental health problems or whether financial difficulties emerge as a consequence of poor mental health, we know that they have a compounding and devastating affect. Mental health problems can make it harder to manage your finances, and living in financial stress can harm your mental health. Debt and financial difficulty have been shown to dramatically reduce the chances of recovery from a mental health problem. Almost all of those charged for evidence (94%) believe their financial situation made their mental health problems worse. By causing further financial distress or by stopping people from reaching the help they need, the charge for this form has a negative impact on mental well being and could seriously reduce the chance of recovery from a mental health problem.